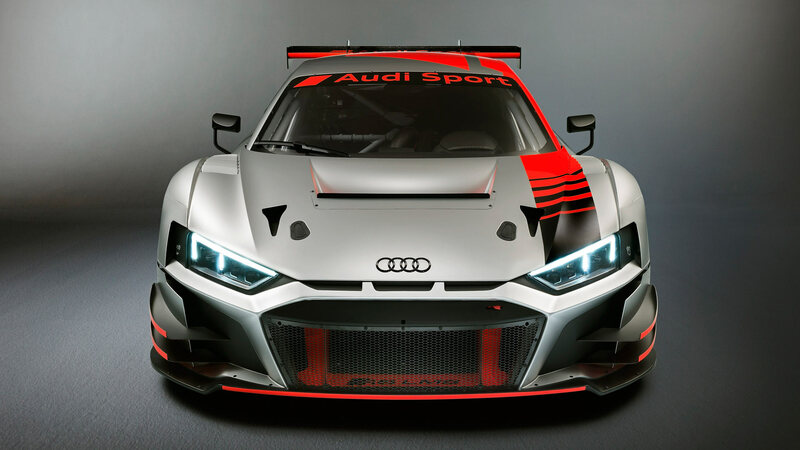 Audi Sport has taken the wraps off the new R8 LMS GT3 race car at this year’s Paris Motor Show. 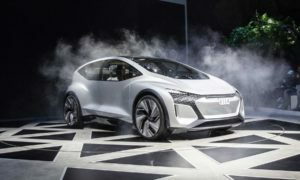 The car carries a price tag of €398,000 plus VAT, and deliveries will begin in November. The evolution kit for retrofitting older vehicle generations is also available for €28,000 plus VAT. The engineers calculated the aerodynamic improvements in CFD (Computational Fluid Dynamics) first, and the components were then tested in wind tunnel and subsequently validated the results in tests. 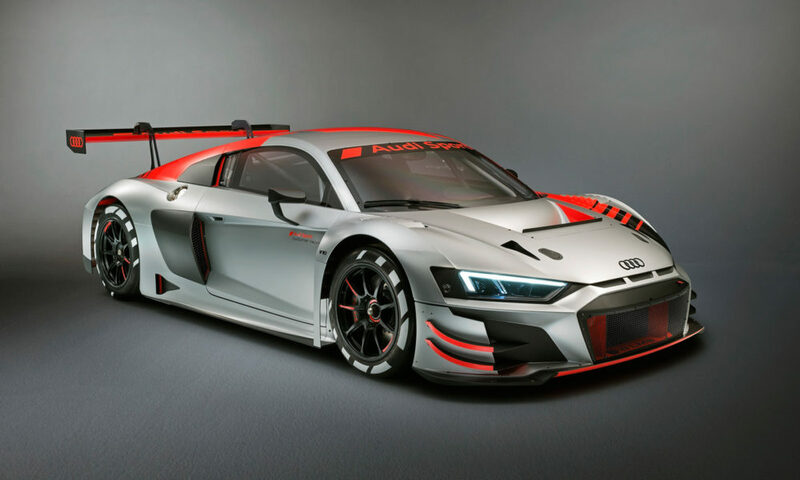 The mix of aluminium in the Audi Space Frame (ASF) combined with the CFRP center tunnel and the CFRP back wall as well as the steel roll cage makes the chassis alone about 30 kg lighter than that of the first generation. At the same time, the torsional stiffness of the supporting frame has increased by 39 percent, the company said. The car weighs 1,225 kg dry. 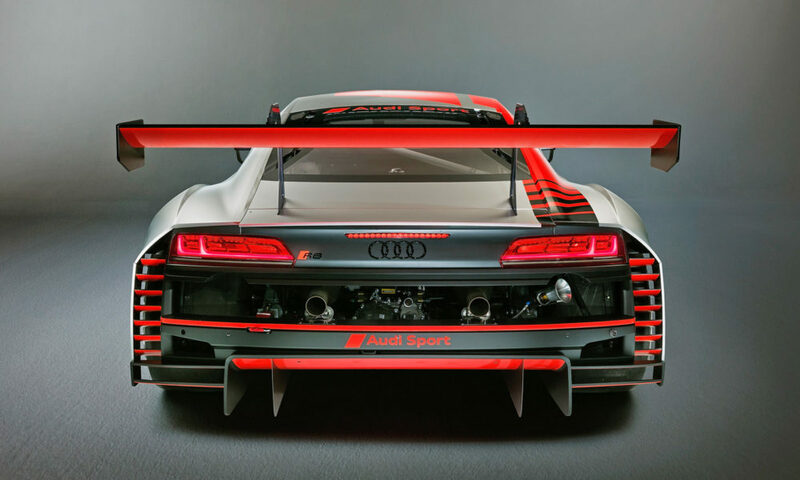 Thanks to a fully lined underfloor and a conceptually integrated rear diffuser, the engineers managed to reduce the size of the rear wing profile by 25 percent compared with the previous R8 LMS ultra while the FIA-specified maximum downforce continues to be achieved. 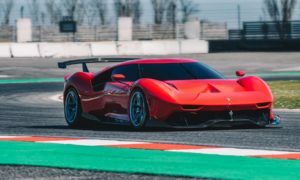 Consequently, the aerodynamic drag decreased by 20 percent while the top speed, at the same engine output and fuel consumption levels, was apparently, increased by 6.5 percent. 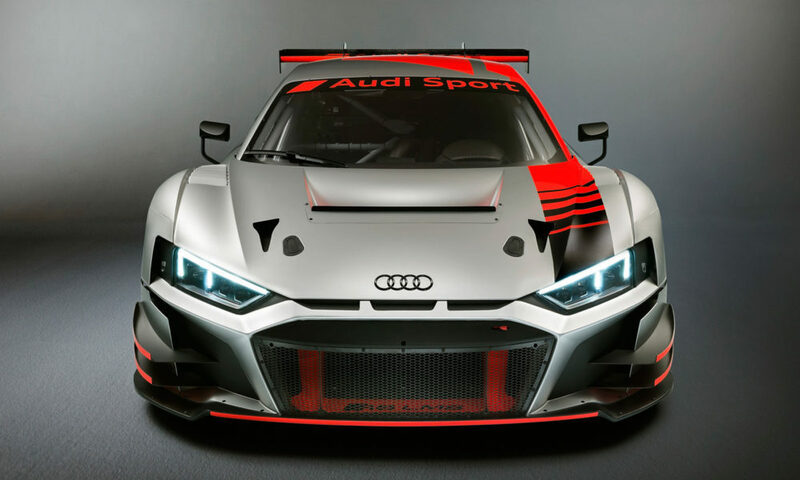 As for the brakes cooling, airflow through the front bumper has been improved for cooling at the front axle. Same has been done at the rear, improved airflow and more efficient evacuation of hot air from the ventilated disc brakes. 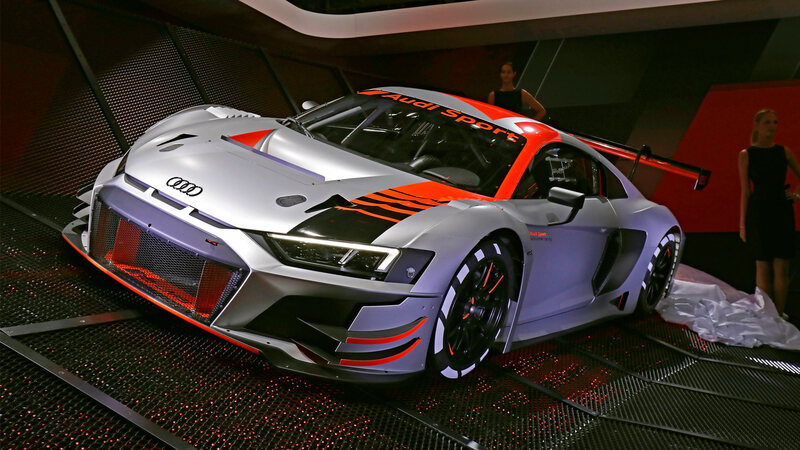 Audi Sport also said that the three-plate racing clutch has been improved as well. Wear protection for the clutch spring extends the rebuild interval of this highly stressed component by more than 50 percent. 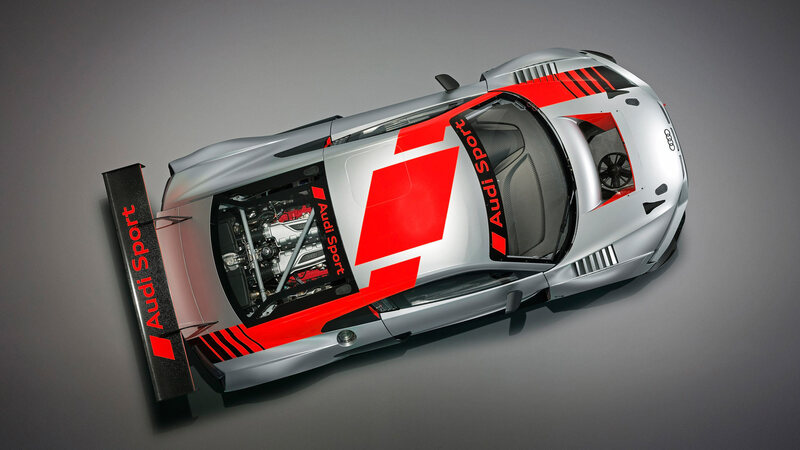 Revised gear teeth and reinforced bearings make longer running times of the sequential 6-speed transmission possible. In addition, the engineers managed to reduce wear of the locking differential. As a result, the teams are able to select softer preloading which simplifies handling. 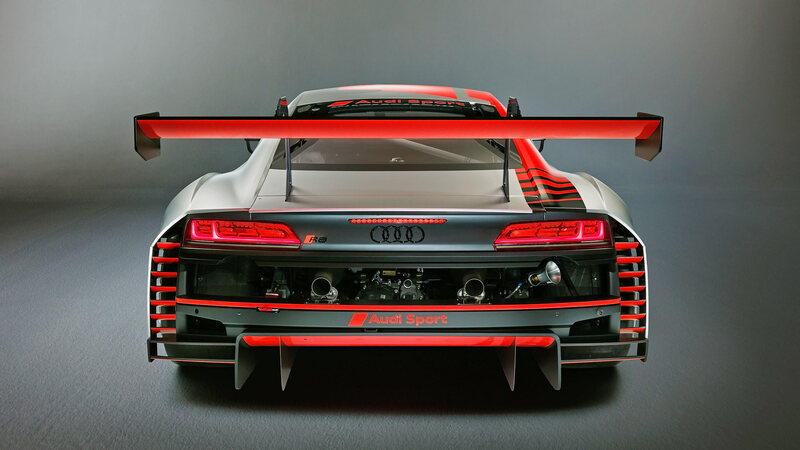 These advantages are particularly effective in 24-hour races because even after a continuous racing distance of several thousand kilometres, the desired locking effect is maintained. 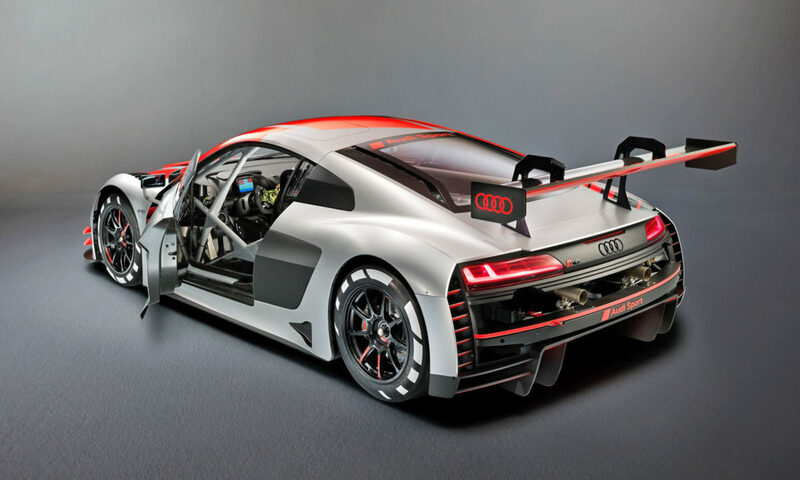 As for the safety, besides the aforementioned steel roll cage, the body is an aluminium CFRP hybrid design. 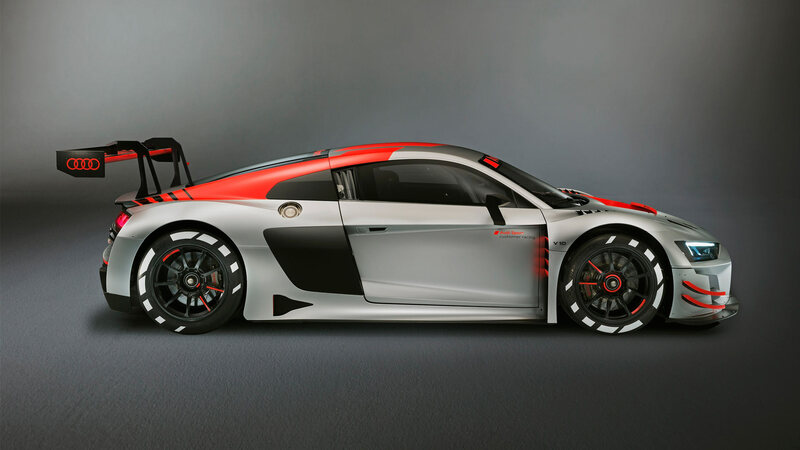 There are CFRP and aluminium bolt-on parts, energy-absorbing aluminium and CFRP crash structures front and rear. The in-roof rescue hatch is present too and the Lifeline Zero 3620 fire extinguisher is included as well. 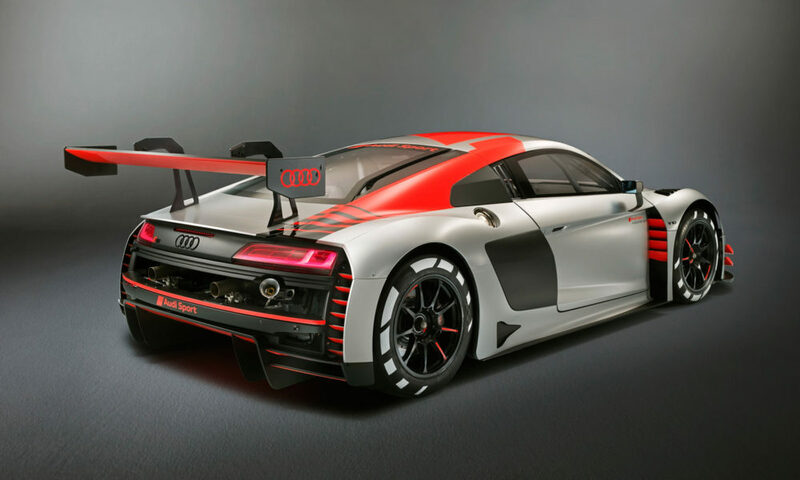 Audi Sport said that the safety concept meets FIA LMP1 crash requirements. Which brings us to the business end. 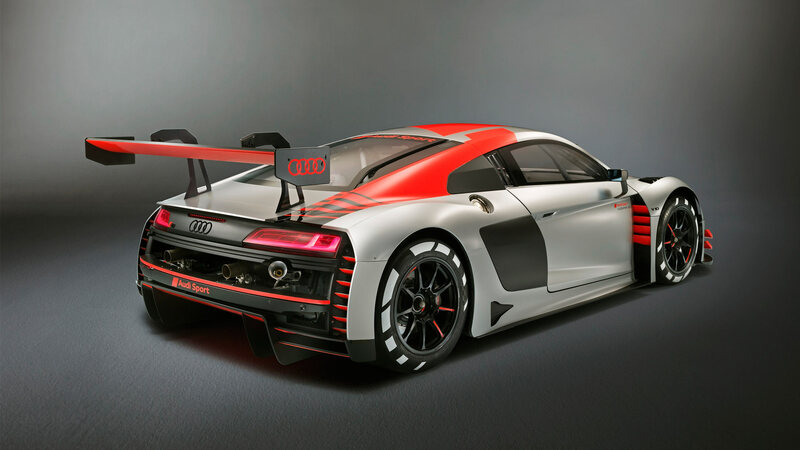 The 5.2-litre V10 petrol engine produces 430 kW or 577 hp and 550+ Nm of torque. It is produced on the same assembly line as the production unit. 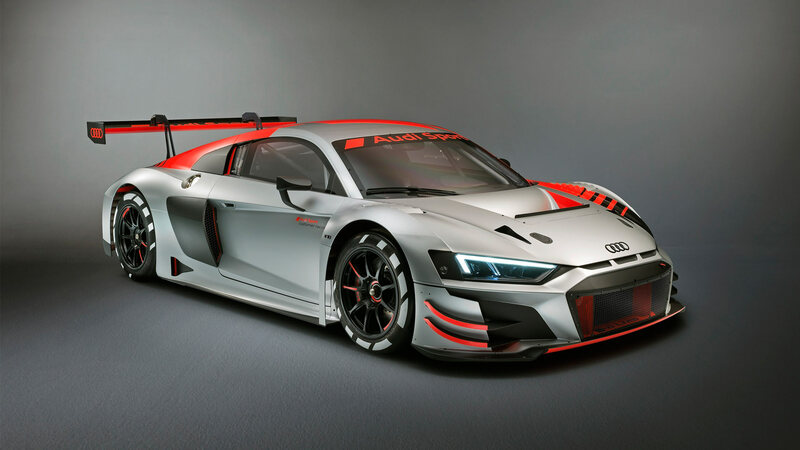 Audi Sport says that it remains nearly unchanged and comes with a scheduled service interval of 10,000 km and rebuild interval of 20,000 km. 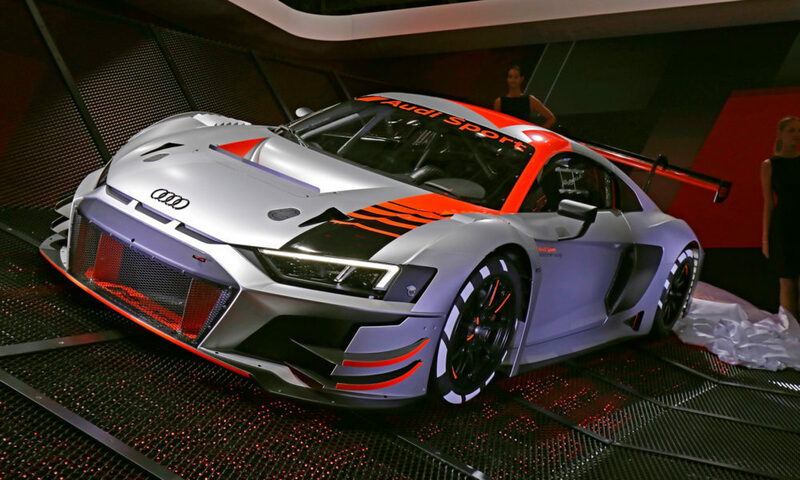 A 6-speed sequential transmission with paddle shifters sends the power to the rear wheels. 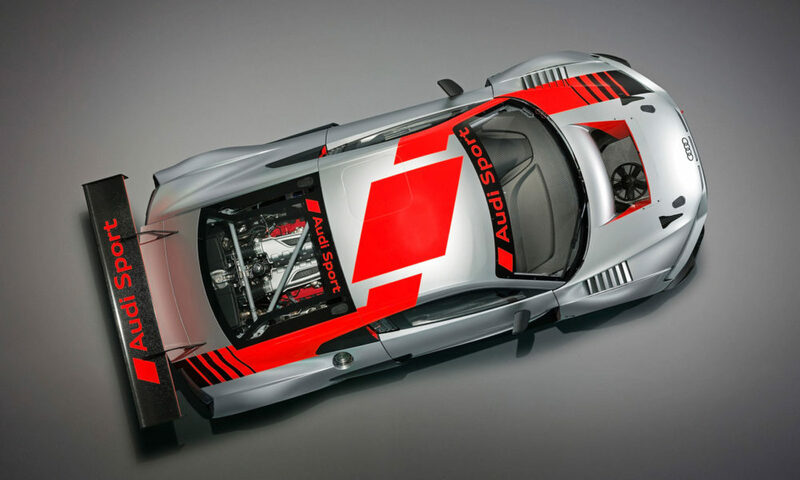 As mentioned earlier, the car features limited slip differential, and traction control as well. The steel brakes measure 380 mm at front and 355 mm at the rear, with racing ABS. The forged aluminium wheels measure 18-inches. 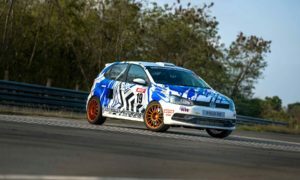 As for the suspension, the front and rear are independent, double wishbones, suspension struts with coil springs and adjustable dampers, and adjustable stabilizers front and rear.